Be ready for the start of camping season with a great deal on a new RV! At Byerly RV’s Beat The Rush RV Sales Event we are celebrating 70 years of RV sales in St. Louis, Missouri! 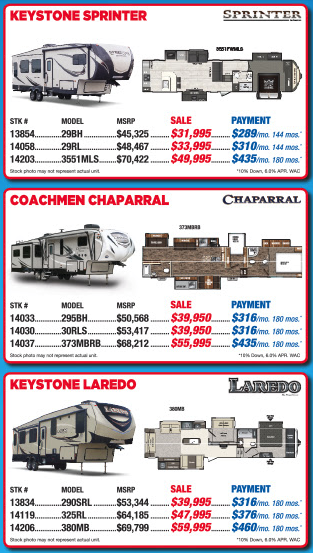 Join us March 1st, 2nd and 3rd for a fun filled weekend of incredible RV deals. As a thank you for 70 years in business we are serving Free Lunch at Our RV Dealership on Saturday, March 3rd! At the Byerly RV Beat The Rush RV Sales Event, you can take advantage of amazing pre-season deals on a wide variety of Class A and Class C Motorhomes, Fifth Wheels, and Travel Trailers. 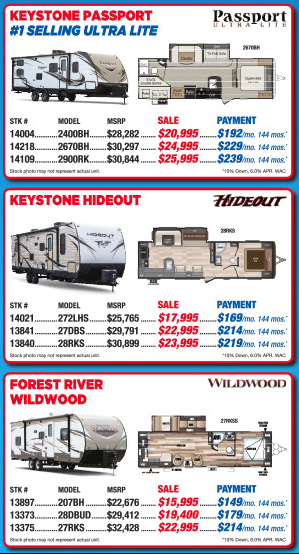 Check out all the amazing sale prices to kick the camping season off right! 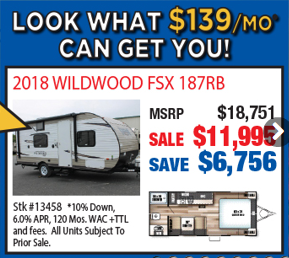 For only $139 a month*, you can be on the road to comfy camping fun this spring! We also have a fantastic selection of Class C and B Motorhomes for sale as well! Check out these low monthly payments! * Fifth Wheel RV enthusiasts can look forward to shopping the very latest in floorplans and innovations. Tour our large selection of 5th Wheels for sale at low pre-season prices. Whether you are new to RV camping or looking to upgrade your older camper to a newer model, we have a wide variety of Travel Trailers for sale to meet every need. 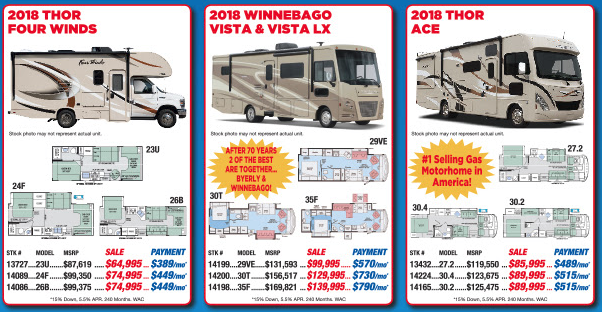 Huge savings, free lunch, information on the latest RV innovations and a huge selection of New & Used RVs… all happening this weekend at Byerly RV! Contact Us at Byerly RV for more information on our RV Sales Event or visit us this Thursday, Friday or Saturday to take advantage of this special 70th year anniversary event! Camping season is here! Be ready with a new motorhome or towable RV from Byerly!